Hi All! I hope you all had a wonderful weekend! You've probably figured out by now that I love kate spade! 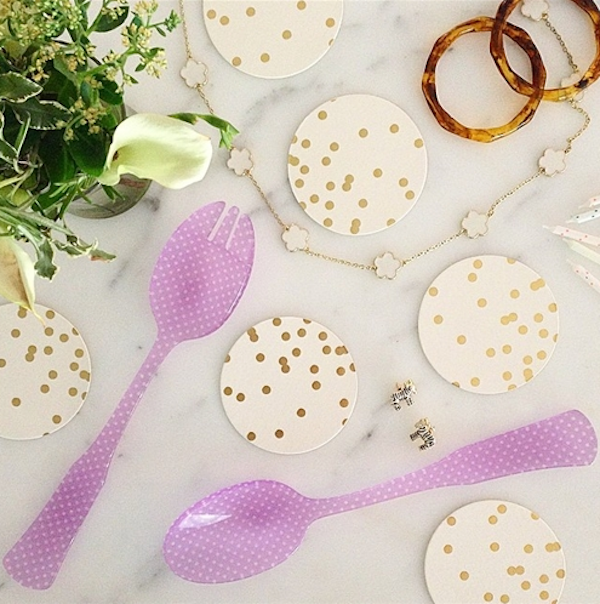 I love their golds and pinks and all things glittery and polka dotty. Here's a heads up to a great sale over at Zhush - they're giving us a whopping 20% off sitewide if you use the code: LABORDAY2014 and Free Shipping for orders above $100. 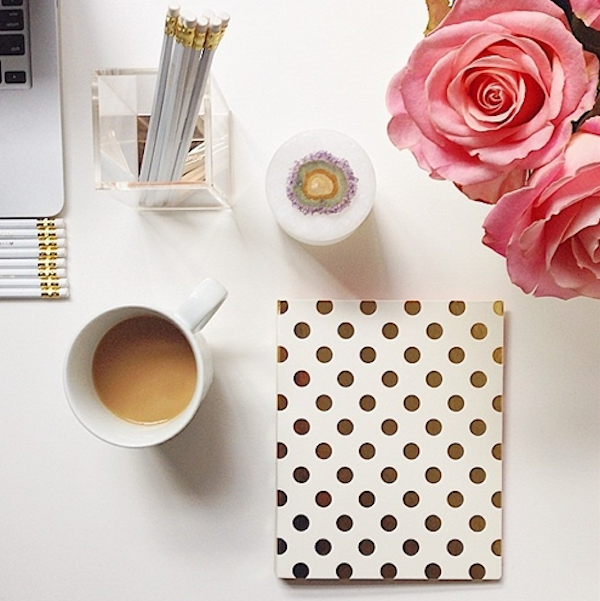 While you're there - make sure you check out all their other gorgeous desk accessories! 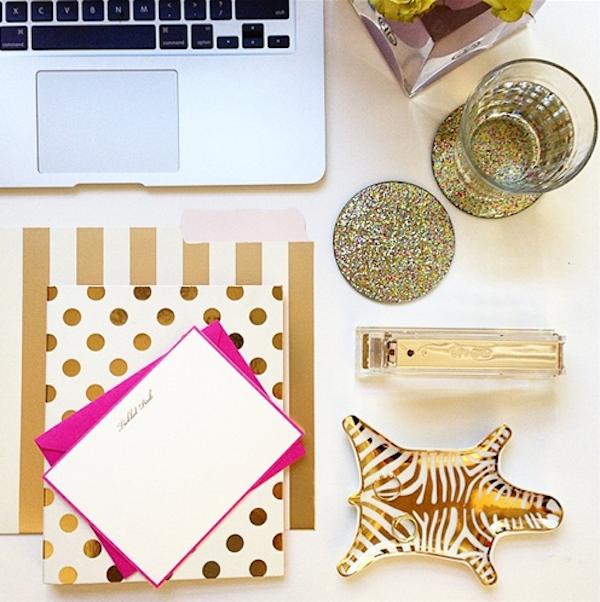 I love Kate Spade desk accessories! I have my entire office desk decorated with her items. I'm excited to get more accessories to organize all the papers I'm getting from the paper service company I use. Great desk accessories. Where did you get the white pencils with the white eraser on the end?